As I STAND here writing this, I cannot tell you how I ever sat for most of the day. Research from the Center for Disease Control has stated that prolonged sitting time (sedentary behavior) is a health risk. “Breaks in prolonged sitting time have been correlated with beneficial metabolic profiles among adults, suggesting that frequent breaks in sedentary activity may explain lower health risk related to waist circumference, body mass index (BMI), triglyceride levels, and 2-hour plasma glucose levels.1"
The results of CDC’s “Take a stand” project had shown that when reduced time spent sitting by 66 minutes a day, upper back and neck pain was reduced by 54%, and improved mode states. It has been a few weeks since I have been using my standing height desk so I feel like I have a better perspective on the benefits of a standing height workstation. So, what have I noticed in the first few weeks? When working at my desk, my shoulders are relaxed, back and to the side, not tense and shifting forwards. I used to have bad neck and shoulder pain towards the end of the day, especially on my drive home. This pain is gone. I am 6’ 1” tall, not a giant by any means but I always felt as though desk height was too low for me to sit at. I can now adjust the desk height to the perfect size when I am seated, “perched” on my stool or standing. Overall I generally just feel better. 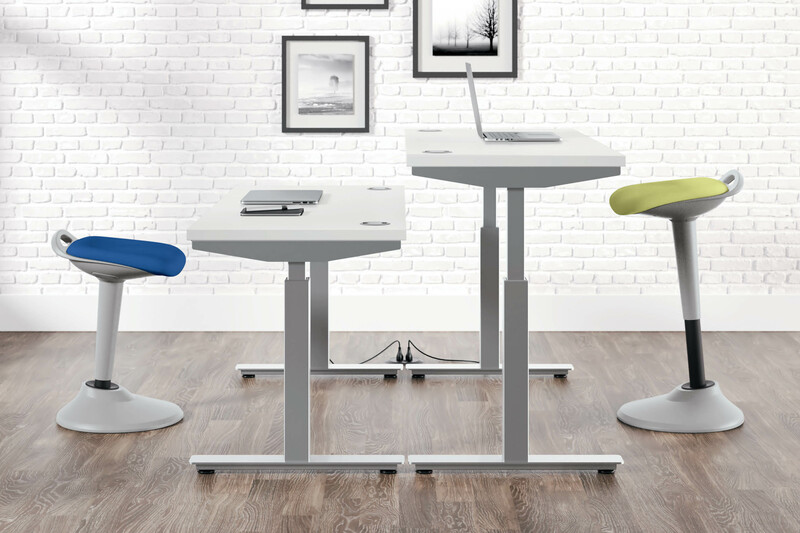 To learn more about Sit-To-Stand workstations browse our product pages or contact us. 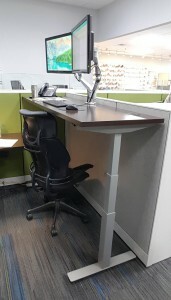 Source: 1.Pronk NP, Katz AS, Lowry M, Payfer JR. Reducing Occupational Sitting Time and Improving Worker Health: The Take-a-Stand Project, 2011. Prev Chronic Dis 2012;9:110323.